GP driving instructor training institute provides committed and focused instructors and Successful Driver trainers fully comprehend and master the skills they instill in their students. at GP instructors used their experience to create safe and confident drivers with our approved Driving Instructor Training courses. GP instructor training courses are designed to help you become an effective and knowledgeable Professional Driving Instructor with the most current laws, regulations and industry training techniques included. Teaching someone to drive requires many skills – All required skill are provided by GP instructor training. GP instructor training course offers one of the most comprehensive training programs. GP instructor training is only as good as the instructors it train. GP instructor training Course is very flexible and can be fitted in around work commitments, with the choice of fast track, semi-intensive, intensive in two, three or four hour lessons, as well as GP instructor training pay-as-you-train option. GP instructor training instructors use coaching techniques rather than directing, and GP instructor training offer positive feedback while learning to drive in an Instructor capacity. GP instructor training break down complex situations into actionable, achievable steps to develop one-on-one communication skills. GP instructor training commitment to quality training ensures you receive exceptional value in every session. GP instructor training driver trainers are top performers who are passionate about their work. GP instructor training staff care about your success and are engaged in your development. You will receive exceptional training in an enjoyable and entertaining way at GP instructor training. To qualify as a driving instructor, potential driving instructors must pass three tests covering theory, driving ability and instructional ability. GP instructor training highly-qualified and experienced trainers, GP instructor training provide skilled and experience instructor to help ensure that not only do you pass the qualifying exams but that you become a successful driving instructor. GP instructor training train good people to be great Instructors! 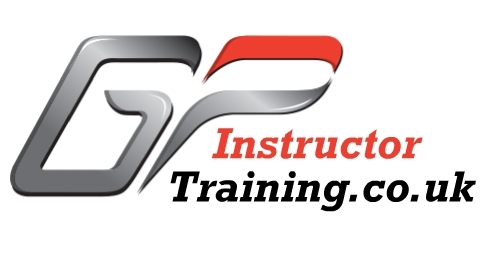 Whether you plan on joining GP instructor training team, opening your own driving school or serving as a driver trainer in the transportation industry, you will acquire all the skills needed to exceed driver training industry standards. All training will be provided by a grade A driving instructor. we have been training people from all over the north west ranging from Manchester to as far as Rhyl Wales.